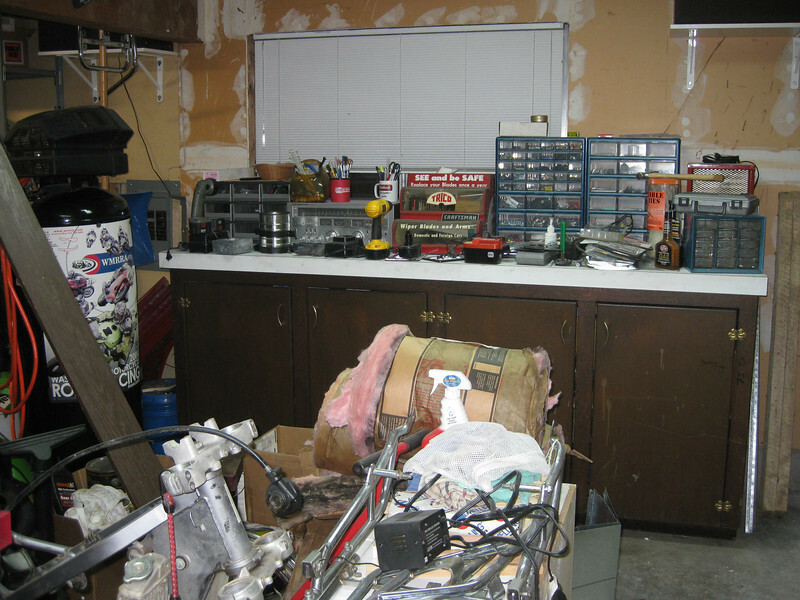 Through my own neglect, indifference and laziness, my garage had become an absolute embarrassment. For whatever reason, I finally decided that enough was enough and have undertaken a mammoth (for me) overhaul - complete with an annexation of some equally cluttered and unfinished basement space and a new laundry/utility room. I was going to turn the big, brown cabinet into a workbench but I've been thinking about starting from scratch and building one or more benches tailored to specific needs.